Well the engineers at Cardinal Detecto are at it again. They've come up with a NTEP approved label printing scale that can save thousands of price look-ups and print out sophisticated scale labels. 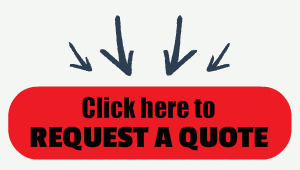 The scale has a capacity choice of either thirty pounds or sixty pounds. 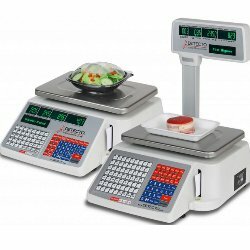 You can also choose between a standard scale with weight display built into the normal counter-top scale (front and back for both you and the customer) or you can choose the tower display which has the weight display on the top of a pole attached to the scale. This might work better if you have some type of obstruction such as a shelf or rack. 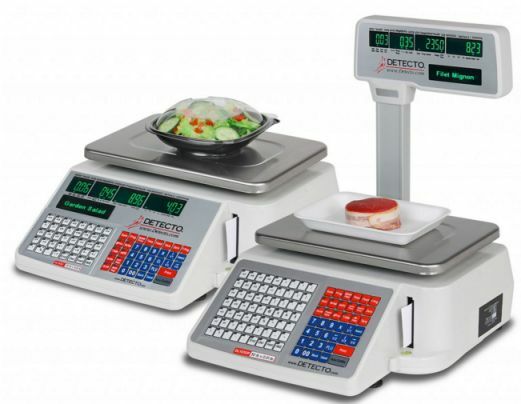 Detecto versatile DL series price computing scales with integral label printers, available from Central Carolina Scale, are designed for highly customizable retail use in delis, supermarkets, produce sections, convenience stores, and grocery store meat sections. With 5,990 PLUs and 2-MB memory, the DL series is economical, durable, user-friendly and incorporates all of the essential features needed for legal-for-trade weighing and label printing. Detecto DL series networkable price computing scales with integral label printers features 5,990 PLUs, 30 lb x 0.01 lb or 60 lb x 0.02 lb capacity, 12.8" x 8.9" stainless steel platform, inventory reporting capabilities by PLU, multiple connectivity ports (USB, Ethernet, and RS232 serial), alphanumeric display (upper and lower case characters), 4 LED display windows and 1 dot matrix text screen, NTEP legal-for-trade certification, and they are available with or without a tower pole display. Detecto DL1030 and DL1060 series retail scales print labels in a wide variety of styles, sizes, and printed information: bar codes, QR codes, safe handling images, ingredients, weights, date formats with month/day or time, nutritional facts, discounts, logos, and more. 50 label types are available via included software. Label rolls are available in single rolls or by the case. The DL retail scale is as intuitive to set up as it is to use, simplifying both management and employees tasks. The scale comes with versatile PC setup software and networking capabilities allowing you to make updates to multiple scales for your facility. Customized reporting features provide you with all the information you require to make your accurate business decisions for your store. The DL Series comes with four communication ports to accommodate the interface requirements of various integration communication setups. The DL series scales’ USB drive allows you to download PLUs, shortcut keys, and other setup information, including custom labels, to the scale. Upload these same items from the scale to the USB drive which can be viewed in the included utility software.